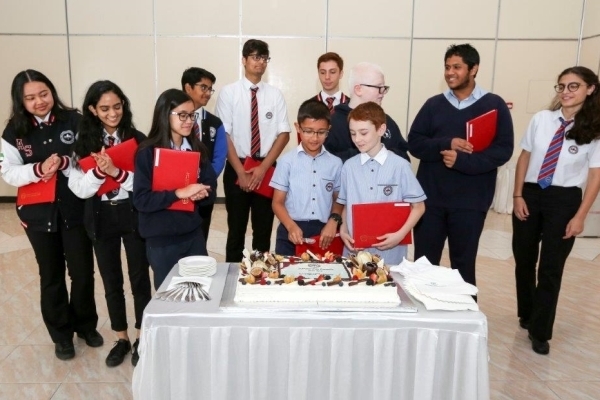 Emirates International Schools – Jumeirah and Meadows jointly recognised 12 students for their exceptional academic achievements at the 2018-2019 Scholarship Awards ceremony held at the EIS-Jumeirah campus on Sunday 24 March 2019. 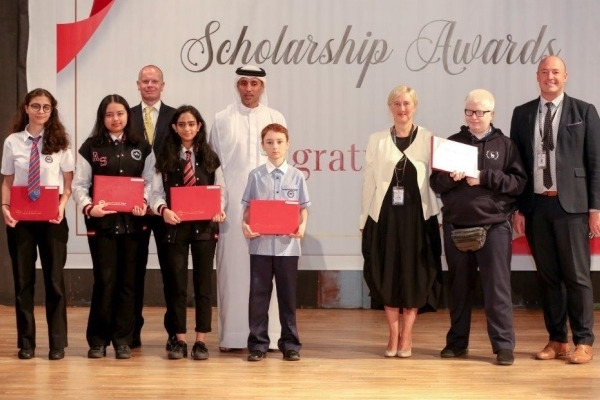 The award certificates were presented by Mohammed Al Habtoor, Vice Chairman & CEO of the Al Habtoor Group in the presence of Amna Al Habtoor, Director of Schools, parents, school leaders and teachers. Six students between the ages 11-18 were selected from each school representing seven nationalities including the United States, Canada, Australia, Norway, India, Indonesia and the Philippines. 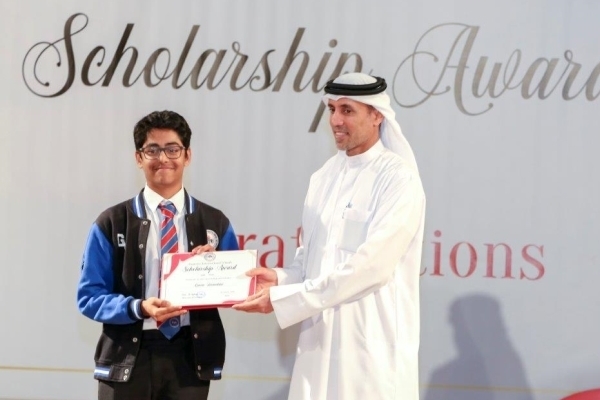 Amongst the many talented young minds, Gavin Vasandani, Year 12 student at EIS-Jumeirah stood out for his global recognition with his project Blocking Space Radiation Using Nanotechnology, which was accepted into NASA’s Cube in Space Programme and the UAE National Think Science Competition. 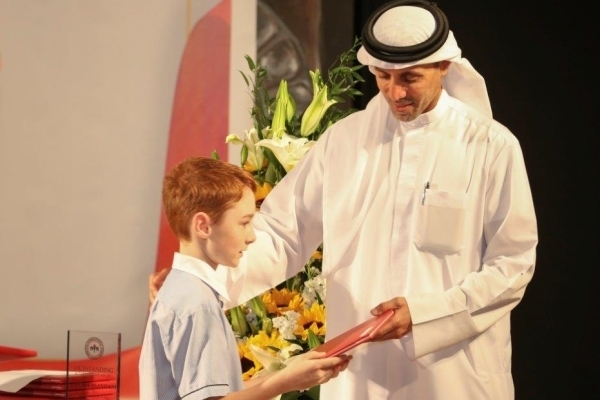 Gavin was selected from among 120 scientific minds from across the world, and as the first from the UAE, to participate in the Barcelona International Youth Science Challenge this summer. The youngest awardee was Sophia Brine, Year 5, an American student at EIS-Meadows, who achieved outstanding results in her CAT4 assessment and shows tremendous potential for the future. The winners from EIS-Meadows also included, Dmitrii Fedorin from Australia, a Year 6 student with exceptional CAT 4 results; Karim Robehmed from the United States, a Year 10 student recognised for his CAT 4 results; Aneeha Bajpai from India, a Year 13 with excellent results in Year 1 of her Diploma Programme; Almira Saptoro from Indonesia, a Year 13 student celebrating her achievements in Year 1 of her Diploma Programme; and Mais Almouslli from Canada, an outstanding Year 12 student who achieved outstanding external results in MYP. Along with Gavin, the winners from EIS-Jumeirah were Maanit Mishra, a Year 6 student from India with a very high CAT4 score. Also from India, Aditya Mishra, always in pursuit of perfection and Nicola Pangilagen from Philippines, with an amazing work ethic, are both in Year 10 and have outstanding CAT4 results. 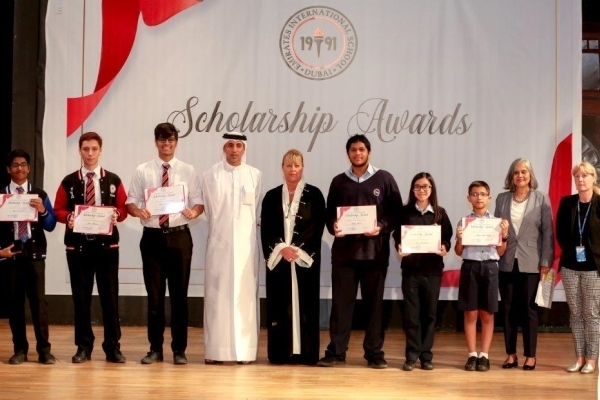 Year 13 students, Norwegian Jones Abuomar, who has studied at EIS since Early Years and Indian Tanvir Kaura, with a passion for Economics, were recognized for their excellent performance in the first year of the Diploma.